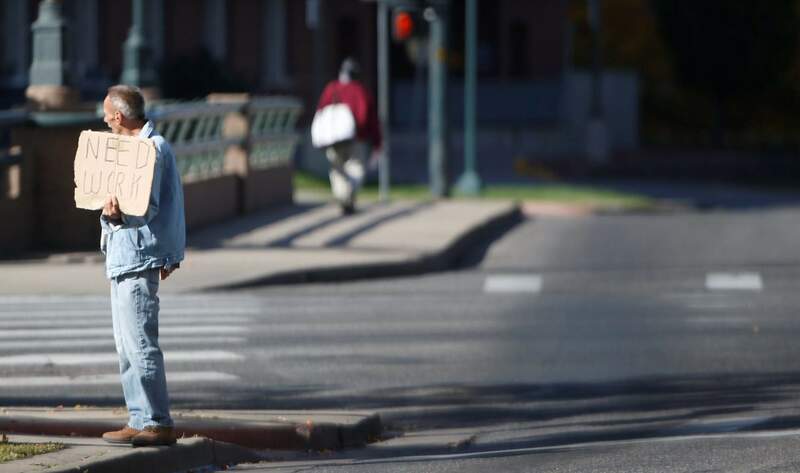 Several northern Colorado towns and cities have been told by the American Civil Liberties Union to repeal any laws they have on their books that ban panhandling. The American Civil Liberties Union has sent letters to 31 cities in Colorado, demanding those cities repeal laws that restrict or ban panhandling. According to an ACLU statement, the letters are part of a nationwide effort to target cities in 12 states that ban or restrict panhandling. The ACLU letter went to the mayors or top officials in the towns and cities of Aguilar, Alma, Berthoud, Blue River, Brush, Central City, Columbine Valley, Commerce City, De Beque, Del Norte, Estes Park, Fairplay, Frederick, Garden City, Granby, Idaho Springs, Julesburg, La Jara, Mancos, New Castle, Ouray, Palisade, Paonia, Pierce, Rangley, Timnath, Victor, Wellington, Windsor, Wray and Yuma. Whether the letters are a precursor to lawsuits is not yet known. John Kreiger, a spokesman for the ACLU of Colorado, said the organization doesn’t talk about lawsuits that haven’t been filed. The letters are intended to make the cities and towns “aware of a liability they have” unless and until the ordinance is repealed. State lawmakers in Colorado have tried for several years to create a similar “Right to Rest” law, but those bills have failed to clear even the Democratic-controlled House.